From lifestyle blog to best-loved beauty brand, goop is the green, clean revolution on every natural goddess’ lust list. Glow-inducing and age-defying, goop’s range of skin saviours were developed with organic skin care royalty, Juice Beauty, merging luxury with certified organic ingredients. 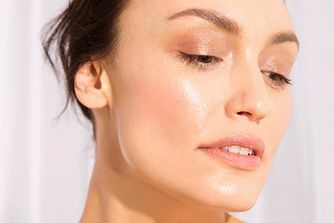 A bestseller in goop’s all-star line-up, this 3-minute facial brightens and softens skin to reveal a glowing, smoother-than-smooth complexion. Natural alpha and beta hydroxy acids combine with plant-based cellulose beads, delivering dual-action exfoliation and sweeping away dead skin cells to reveal the radiance beneath. On every green goddess’ wish list, Exfoliating Instant Facial brightens and softens skin in just three minutes, revealing an immediately smoother, more radiant complexion. Natural alpha and beta hydroxy acids sweep away dead skin cells, while plant-based cellulose beads exfoliate further, also releasing soothing vitamin B5 to leave skin totally revitalised without being irritated. Starring six acids – lactic, tartaric, hyaluronic, salicylic, glycolic and malic – this is quite an ‘active’ formula (sensitive complexions should test first) but the addition of aloe vera and soothing fruit extracts and oils will keep your complexion content. I love the Goop range, and this product is fantastic. My complexion is so much brighter after using and my skin feels so soft. I also like the 2 exfoliating aspects to the product, with the acids sweeping away dead skin cells while the plant-based cellulose beads exfoliates the skin. Obviously very expensive, but my full size pot has lasted over 4 months now (use 2 times a week, would not recommend doing more than this) and is still going. I have very fair and sensitive skin and this doesn't irritate my skin at all (and I've used it almost every night since I got it). It makes my skin feel soft, plump and glowy. Furthermore, it has completely evened out my skintone - no redness around the nose etc. I will buy this again and recommend it to everyone I know. I‘ve been using it now for 2-4 weeks and really like it. However, I have to be careful and not overuse it. Max 3 times a week and I do get the glows smooth skin advertised. I received a free sample of goop's Exfoliating Instant Facial with my purchase of g(oop) fragrances. I couldn't wait to try it! I have used different exfoliating products before, including BR Lotion P50, Grown Alchemist Enzyme Exfoliant, Peter Thomas Roth Pumpkin Mask, Pixi Glow, etc... But, while these products all have their qualities and are far less expensive than goop's exfoliant - they were nowhere nearly as efficient. 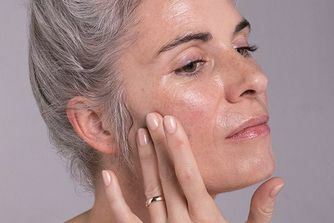 I use Exfoliating Instant Facial three times per week after my evening cleanse before serum, moisturizer, etc and I could see the improvement on my skin texture and appearance already after the first use. The skin is noticeably softer, brighter, plump and even toned. The product is easy to apply (lovely, almost whipped-like texture), it does not have any fragrance, it did not irritate my skin, no redness or tingling sensation whatsoever (but that may be different for someone with (very) sensitive skin, as the product is rather active). I will definitely purchase the full-size version, despite its hefty price tag. 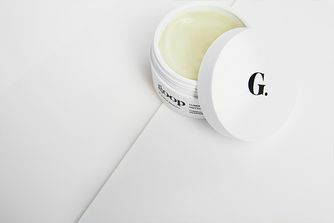 An excellent product indeed, well-done goop & juice beauty!